Hey there Fashionista...Just like you, we LOVE, LOVE authentic designer luxury items for a bargain price. Some of our favorite items can be a little pricey when purchased brand new. That's where we come in to place. We offer Preowned luxury items at a fraction of the retail price. 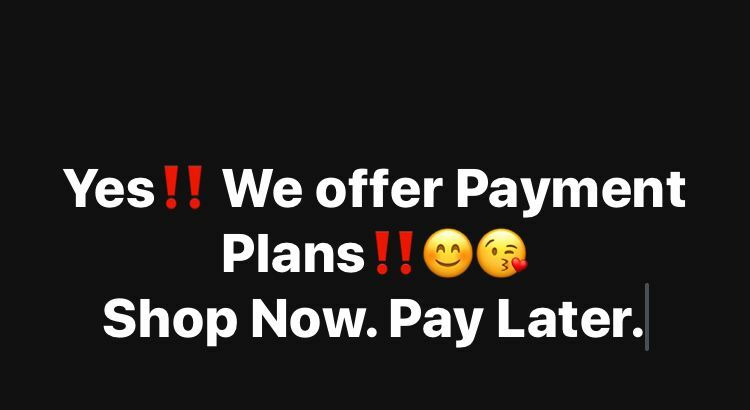 But the best part of it all is....we offer payment plans!!!!! With just 30% of the sale price as a non-refundable down payment, you can pay the balance however and whenever you want! Because we understand each person has their own daily schedules, we are very flexible to cater to your need. Ready to start your plan?? Contact us via phone or email and we can get it all set up for you today!! Happy Shopping.